WebChart is a web-based SaaS solution. It supports medical practices with functional and flexible tools while allowing them to continue using the software and hardware they have already in place. 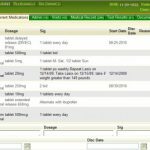 WebChart can easily integrate with billing and practice management systems and also features real-time interfaces with pharmacies and labs. It allows a medical practice to start small, and later add functionality and staff at any time. 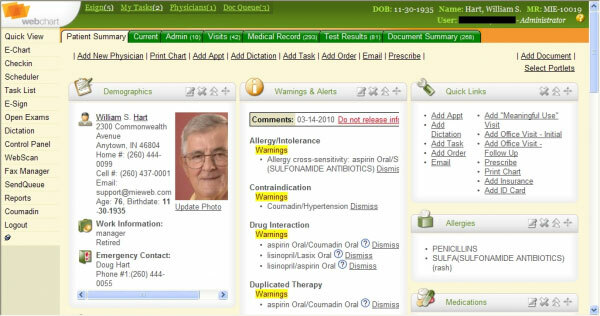 WebChart EHR combines functionality with flexibility in order to support the individual workflows of medical practices and preferences of the clinicians. 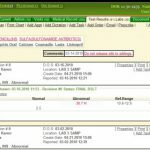 The system features a unique user-level adaptability that enhances the administrative productivity of the organizations using it. It also allows clinical staff to be cognitive instead of clerical and this assists them in improving outcomes while consecutively furthering practice efficiency and core financial performance. This Health IT solution has achieved the highest usability rating, which is five stars, from CCHIT. Its user-friendly interface offers a tabbed electronic chart designed for intuitive document placement and sorting. 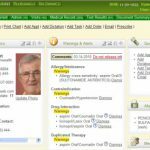 Clinicians can choose templates they like by specialty/role and can even customize the layout per their preferences. 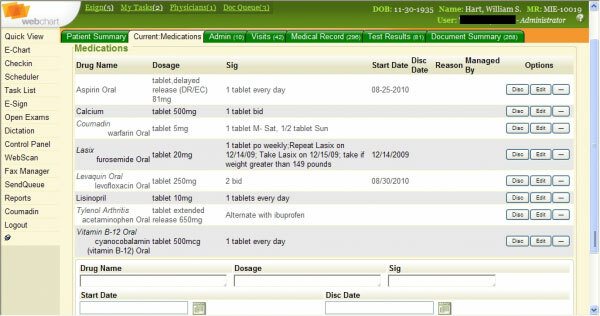 WebChart EHR is supporting patient documentation development by notes, dictation or point and click. WebChart is fully certified and has been developed by Medical Informatics Engineering, Inc. The mentioned is a privately held firm having a 17-year history of technological innovation in information management and data exchange prerequisites of private practice physicians. 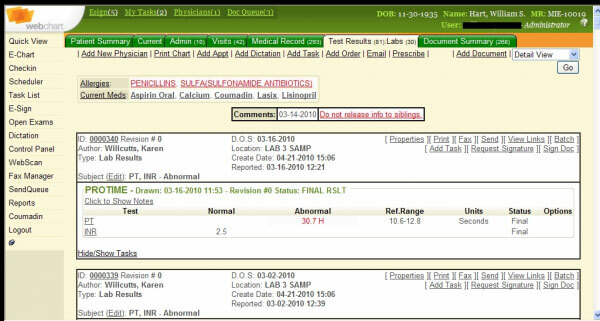 WebChart EHR is a great option for practices pursuing meaningful use as it allows them to track their compliance with quality measures through an automatic and easy to use meaningful use tracker. Since it’s a web-based system, it can be accessed anytime from any internet-enabled device such as Macs, PCs, iPhones, iPads, and other smartphones. If you are a medical practice looking for a quality EHR system supports medical practices with functional and flexible tools while allowing them to continue using the software and hardware they have already in place, then this might just be the system you need!